Choosing the right career for you! What is the right career for you? I think it is a question that many are stumped on. I know I went to a four-year college just because my older sister did. My high school counselors really pushed me to get into computers. I attended a business oriented high school that allowed students to take classes in computer repair, data processing, and paralegal studies. Looking back on it now, it was definitely the wrong school for me as I was not interested in any of that. I remember meeting a few others on the bus (yes I took the city bus to school) and met a few students from the school of Arts. I remember talking to a few students on the bus and they were discussing all the fun they had in their art classes and music classes and all I could think of was how boring my computer repair classes were. Looking back on it now, I was definitely in the wrong school as I loved literature and writing, but I also really loved biology. Basically, I did not enjoy any of my computer classes. After I graduated high school I attended a four-year University and began taking the usual classes such as English, Math, Social Sciences etc and I found that the classes I loved the most were my communication classes and my music appreciation classes. I loved learning all about Janis Joplin and the science of music. I also remember not really caring for my classes in Audiology (which was the major I chose at the time). I almost completed the program but dropped out a few semesters before graduating. For awhile I wondered what the heck was I going to do. Not many people in my family went to college and most of my friends did not. My sister seemed pretty content with her engineer degree. Then there was me. A lost little girl with the passion for writing but not really knowing what to do with it. During my time at the University, I had many teachers pull me a side and asked if I loved to write and they told me they could see a story as they were reading my papers. I had English teachers tell me I had unusual fluency and they encouraged me to minor in writing. I just wish I had that one person in my life that would have just pulled me a side to tell me….yes, you can be a writer, and yes, if you have the drive you can do anything you want and you don’t have to work with computers or in healthcare to be happy. 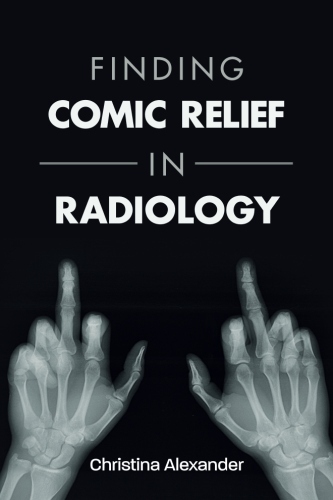 Soon after dropping out of the four year program I decided to go to Radiology school. The only reason I enrolled is because I heard the pay was good and the program was short. Long story short….I made another huge mistake. I hated that career as well. However, I did complete my bachelors degree while working . However, there isn’t much I can do with a bachelors degree in Arts. I am currently working in radiology as a temp tech or travel tech as some call it. What I do love about it is the assignments are short and I can take as much time off in between contracts I want. I am also able to really think about what I really want to do for the next 25-30 years (and it is NOT radiology) but it is giving me more time to think about what I want to do and how to pursue Journalism which is what I really LOVE doing. I just wanted to write this blog to encourage anyone out there who is stuck working a job or a career that they absolutely hate to know that it is important to find something that you are passionate about so it doesn’t feel like a dreaded job. No one wants to go to work every day dreading what the day brings and crying in the car after work (yes I did that too). Yes life is full of risks and yes you may fail a little along the way, but what doesn’t kill you makes you stronger, right? That is what Kelly Clarkson says anyways! Will you hit some bumps along the way? SURE! Will you get the door slammed in your face a few times? SURE! Will you fail along the way? Maybe. However, life is full of twist and turns and you have to figure out what makes YOU happy even if that means going against your parents wishes of you being a doctor, or going against society’s standards of being a nurse, engineer, or accountant is the only way to make a decent living and way to happiness. In fact, not everyone needs to go to college or a four-year University to be happy or successful. Success comes in so many forms! When you are happy you have found success. Even if I just reached ONE person who reads this and thinks ” I am not happy in nursing school , or what am I really doing with my life sitting in a cubicle job that I hate every day” etc and he or she takes that leap of faith to do something they love or even if that means dropping out of college for a year to THINK about what makes you happy before spending all of that time , energy and money on something you might likely regret…then I did my job. Alley Hardesty, a YouTuber who I admire so much has just dropped out of college to pursue her dreams of creative endeavours. She took a HUGE leap after attending an expensive college , dropping out, and is now figuring out what makes her happy. So don’t be afraid to make that jump!